December | 2014 | Take Home a Souvenir! Kon-Tiki, a film based on Thor Heyerdahl’s legendary voyage across the Pacific, is released in UK cinemas TODAY! Nominated for an Academy Award, Kon-Tiki has been called ‘astounding’ by The Times and ‘a brilliantly shot epic’ by The Independent. Heyerdahl Jr., Heyerdahl’s first son and chairman of the Kon-Tiki Museum in Oslo, is in London this week for the opening of the film. In an interview with The Times, he confesses that he is a ‘big fan’ of the film, which portrays Heyerdahl’s 101-day journey from South America to Polynesia on a traditional balsa raft. The aim of the expedition was to prove Heyerdahl’s theory that native South Americans could have crossed the Pacific to settle on pre-Columbian Polynesia with the basic materials available to them – a theory that was finally proved possible by DNA Testing. After the success of the Kon-Tiki expedition, Heyerdahl travelled to Easter Island with a team of archaeologists to undertake the Island’s first stratigraphic excavations. Intent on proving that the Island was colonised by South Americans, he also studied the carving and transportation of the famous moai statues. Heyerdahl Jr. accompanied his father on this trip, where he says he ‘witnessed the extraordinary pigmentation of some inhabitants, whose distant South American origins have again been confirmed by DNA testing’. 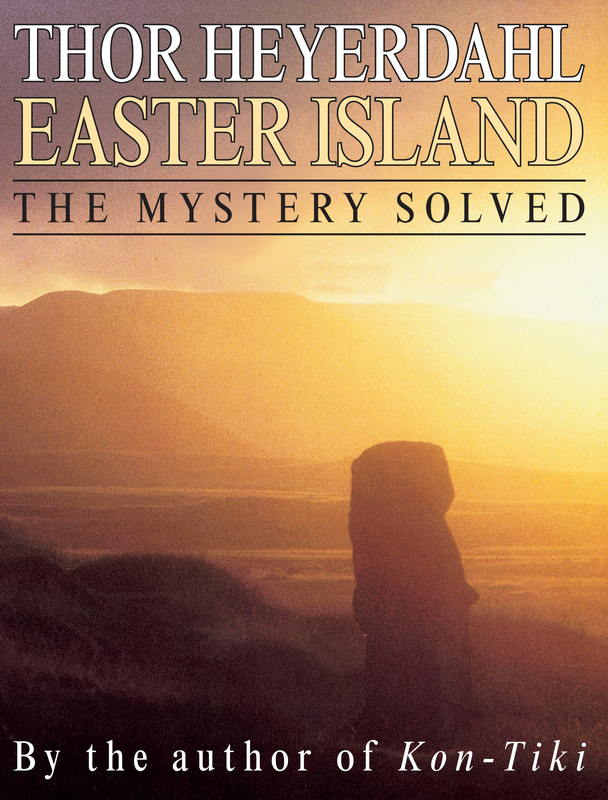 Complete with full-colour photographs, Heyerdahl’s ground-breaking research is now recorded in ‘Easter Island: The Mystery Solved’. One of his greatest books, it expresses the sense of adventure that Heyerdahl brought to contemporary archaeology. Stuck for Christmas present ideas (of the bookish kind of course?) Have a go at our super Christmas quiz below and find some inspiration for your loved ones! For the second year running, ‘Oliver’ has topped the boy’s chart, whilst ‘Emily’ has taken the number one spot from ‘Olivia’ (from BabyCentre.co.uk). After reporting that ‘Muhammad’ was the number one boy’s name in the country on Monday, BabyCentre.co.uk confirmed that without its different variations, the name was actually 15th in the table. Sure enough, if the same was done for ‘Oliver’ (Ollie, Oli), or ‘Harry’ (Henry), then they would place above ‘Muhammad’. As usual, cultural influences are playing a huge part in parents’ choices. ‘Eric’, the name of Simon Cowell’s son, is up by 284 points whilst ‘Elsa’, from the Disney movie ‘Frozen’ has entered the top 100 for the first time. 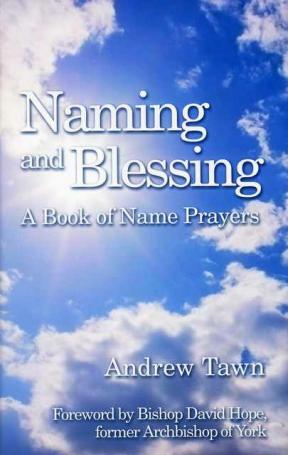 Naming and Blessing: A Book of Name Prayers by Reverend Andrew Tawn is a collection of personalised name prayers for more than 500 baby names, perfect for christening readings or for parents wanting to pray for their child at any stage in their life. In acknowledgement of 2014’s most popular baby names, we’ve posted the top two names in each category below, taken from Andrew Tawn’s Naming and Blessing: A Book of Name Prayers. Your will and your work. It was World AIDS Day on Monday (December 1st), the annual global health day dedicated to raising awareness about the virus, supporting the people who live with it and remembering those who have died. According to the World AIDS Day website, around 100,000 people are currently living with HIV in the UK. Across the world, an estimated 34 million people have HIV and, since it was first clinically observed in 1981 in California, 39 million have died from it. Though we still have a long way to go, recent scientific research suggests that the virus is becoming less deadly. A study by the University of Oxford, published on Monday in the Proceedings of the National Academy of Sciences (PNAS) journal, focused on more than 2,000 HIV+ women from South Africa and Botswana. It found that as the virus adapted to the human immune system, it weakened itself in the process, and thus, took longer to transition to AIDS. Of course, San Francisco was home to Randy Shilts, author of Stonewall Book Award-winning And the Band Played On. This definitive history charts the spread of the AIDS epidemic from the very beginning in 1976 to 1985, with a briefer look at the events after 1985 that brought this disease to international attention. A masterpiece of investigative journalism, it weaves together over 1000 personal stories of those in the gay community and medical and political establishments. Together with his social and political reporting, Shilts also exposes how AIDS was ignored, or denied, by many national institutions. Though he was tested for HIV whilst working on And the Band Played On, he refused to find out his diagnosis until after he’d finished writing. In 1987, Shilts learned that he was HIV+. The year before his death in 1994, he was awarded a Lifetime Achievement Award from the National Lesbian and Gay Journalists’ Association. And the Band Played On is part of Souvenir Press’ Independent Voices Series, dedicated to publishing writers who provide alternative viewpoints and challenge conventional wisdom, making available work that has been unavailable in the UK although it is as relevant today as on its original publication. Buy a copy of And the Band Played On here. For further reading, see UNAIDS, World AIDS Day and WHO.